This Christmas stationery design features a large stylized Santa Claus with a decorated Christmas tree and a colorfully wrapped gift. He is framed by a red plaid border with green accents. 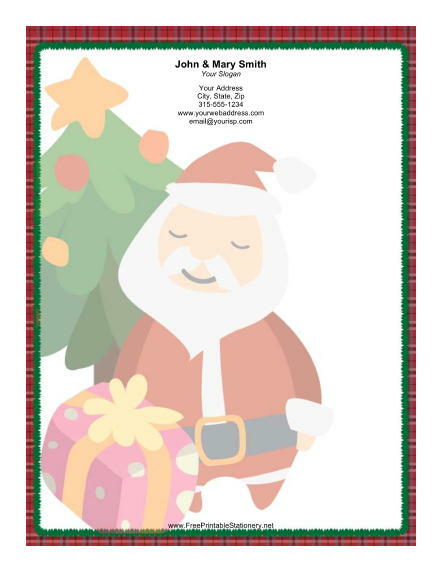 This cute Christmas letterhead is the perfect choice for writing letters to family and friends around the holidays.